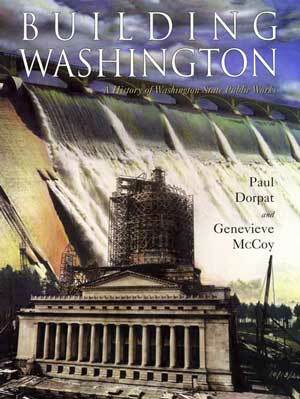 Looking for gifts for the NW history buff in your life? Below, you’ll find a selection of books (and DVD) from Paul’s personal stock, including a few hard-to-find, limited edition items. 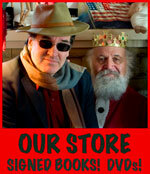 Additionally, we’ll sign, seal, and deliver personalized copies of our books in the next day’s mail. 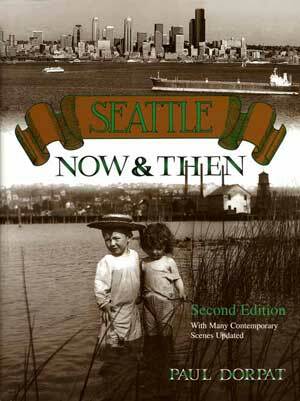 I am a former Seattle resident who grew up on 9th Ave NE across the street from University Playground in the University District. I have been curious about the history of my old neighborhood and I’ve taken on a labor of love to find out what I can about it. Every summer, when I come back to visit my mother, I try to carve out some time to do a little research. I’m interested in a relatively small piece of Seattle, bounded by Roosevelt Way NE, 47th NE, 7th NE, and 50th NE. When I was a kid in grade school in the l50s and early 60s, I loved to wander the neighborhood. Max Pharmacy at the corner of 50th and Roosevelt, was a great place to go on a hot summer day for ice cream, candy, and soda. I loved to swing on the swings and play with my best friend. There was a park supervisor at the playground during the summer as well. I’ve looked on the MOHAI website and found a few old pictures of the playground circa 1913. I’ve looked at the Puget Sound archives in Bellevue and identified what I believe is the first house built there (4709 9th NE– confirmed also by looking at an old map from the early 1900s. I found out that a good part of the neighborhood was platted by Helen Boetzke in 1909 and in 1911 the land was purchased by the city for use as a playfield. I’ve looked at the County’s archives, as well as the Park Dept. archives. The Puget Sound Archives has pictures circa 1937 of almost all of the buildings in the area. It looks like the early history of the area was a series of land transactions in which a number of people were engaged in land speculation. When I was a kid, I was told by an old neighbor, Addie Howard (long deceased), that the playfield was originally used as a cow pasture. 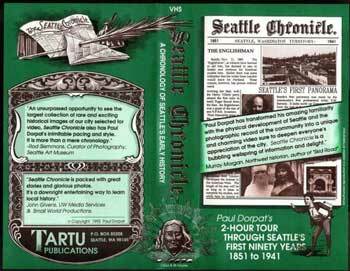 I read in one of the Seattle history books that the original inhabitants, the Indians, used to burn out certain areas for farming. I wonder if what is now the playground might have originally been used for that purpose. It seems possible when you look at the lay of the land. Some of the stories I’ve heard about are from an old neighbor by the name of Lloyd Chambers. I do not know if he is still alive, but when talked to him a few years ago, he claimed that the first non-Indian to live in the immediate neighborhood was a Mrs. Eager. She and her family lived on 7th Ave NE in a tent. LLoyd referred to her as a pioneer. Lloyd said that he played at the playground in the early 1920s. He claimed that there was a spring on the playground about 40-feet square. He says that it was covered over sometime between 1924 and 1934. As proof, he claimed that in the past there was some flooding on some of the properties facing 7th Ave NE near the playground. I’ve not been able to substantiate his claims. I’ve taken a magnifying glass to those old 1913 MOHAI photographs that I mentioned earlier and I haven’t found any photographic evidence of a spring or pond. As far as researching my neighborhood goes, I’m really reaching a dead end. I’m wondering if you might know of some old photographs– from the very early 1900s and before– that give a picture of the neighborhood– or if you could refer to some new sources of information. Thanks for whatever information or photos you wish to share. Hi there – I ordered a bunch of books about a month ago, paid by paypal and have not yet received anything. Just getting a little bit worried, since I did not receive any standard confirmation of my order or a tracking number from you, either. Please confirm that you are still alive, still in business, and are going to fill my order soon. Thank you. Leslie McCawley, 3/104 Wentworth St, Randwick, NSW, Australia 2031. 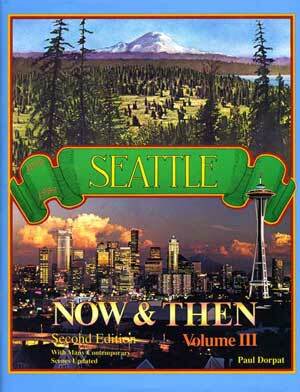 Last weeks Now and Then had the Seattle Speed Bowl picture. My Dad and Uncle raced stock cars at the Aurora Ave Speedway by Playland in the 50’s. Were these two tracks close together or maybe the same? Thanks for the help. Hello Paul. Long time no see. I got off on a tangent, and found your web site. Had to come to grips with the past, kind of a mental white knuckle experience, with memories flooding in from back in those times (the 1960s). I am in a somewhat better position now, and would like to get together with you in your shop and buy some books, get them signed, and maybe we can discuss some ideas that I have. Would like to see some commemoration of the times. I’ve been in Alaska, mostly, since 1976, and generally North (and other points) since 1972. Think there is a point to move forward from where Walt Crowley began, the question is how to launch this. PS I could go further North, but only in the Winter, walking, on the sea ice.